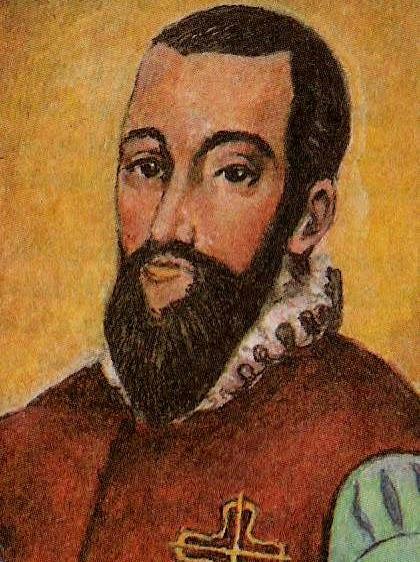 Garcilaso de la Vega was a 16th century Spanish poet and soldier whose love of the military life was to be his undoing. 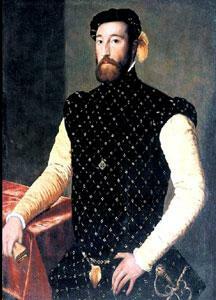 His life was cut short in his mid-thirties following wounds sustained at a battle in southern France in 1536. 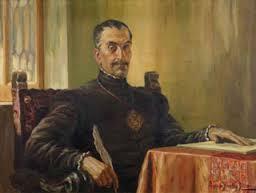 As well as being a renowned soldier of the Kings “Imperial Guard” he was also an innovative writer. 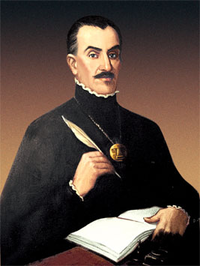 He was a student of Italian Renaissance verse forms and was one of several Spanish poets responsible for the introduction of these writing techniques into Spanish literature. Speculation surrounds his actual birthdate with records suggesting that he was born sometime between 1498 and 1503. His place of birth is certain though – Toledo, Spain. He was born into a noble family with his father in the service of the Spanish Catholic king. This was an important position and came with several estates. 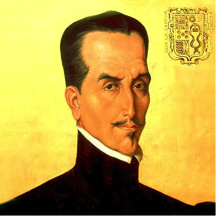 Unfortunately for Garcilaso though he had an older brother who was therefore entitled to inherit the whole of his father’s estates ahead of him (this entitlement was known as the “mayorazgo”). He did, however, receive an excellent education and it is known that he mastered five separate languages (Spanish, Latin, Greek, French and Italian) as well as becoming an accomplished musician. He learned to master the harp, zither and lute. 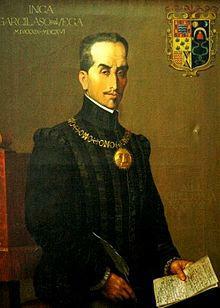 As soon as he was old enough Garcilaso enlisted into the Spanish military and it was his ambition to follow his father into the Royal court. In 1520 he was appointed to the Imperial Guard ( the “contino”) of King Carlos I (also known as Carlos V of the Holy Roman Empire). Only three years later he was granted the honour of Order of Santiago. 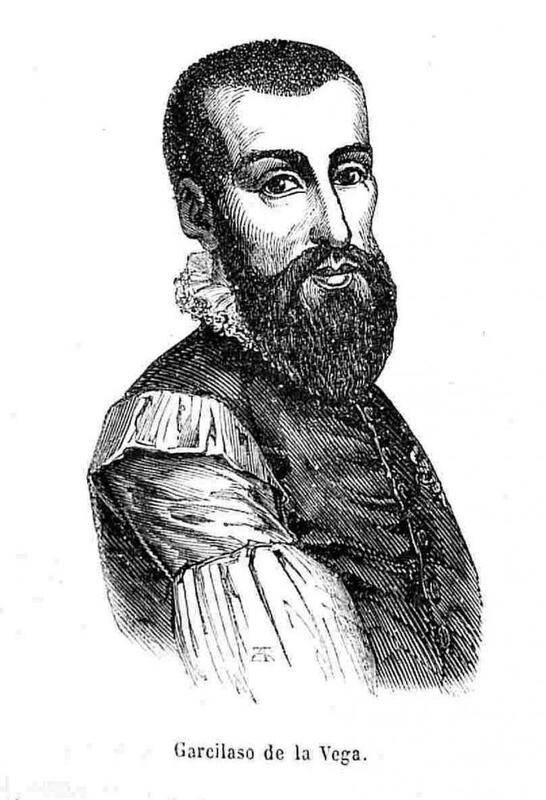 All the time that he was forging his military career Garcilaso de la Vega was also busy producing a great deal of tragic love poetry. His writings probably reflected his personal relationships, of which he seems to have had quite a few. 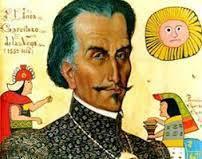 He had an child out of wedlock with one lady and eventually married one of the King’s sister’s ladies in waiting. With Elena de Zúñiga he had five children and it is believed that they also raised Garcilaso’s other child by a previous lover. He liked to experiment with eleven-syllable lines when writing sonnets which gave him more flexibility in his writing style. These “sonetos” were relatively new to Spanish literature and he supplemented this with other innovative forms such as the “estancia,” which was formed by merging seven- and eleven-syllable lines. Additionally he combined two eleven-syllable lines and three seven-syllable lines to produce the “lira” form and he also created “endecasílabos sueltos” from unrhyming eleven-syllable stanzas. 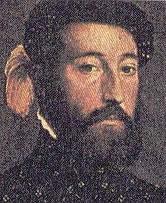 But alongside this romantic life was the serious business of soldiering and he took part in many battles across Europe, fighting for King Carlos V. In one campaign the king attempted to conquer Marseille, and thus secure the Mediterranean, but he was unsuccessful and it was at this time that Garcilaso met his end. He was fatally wounded at a battle in the French town of Le Muy. 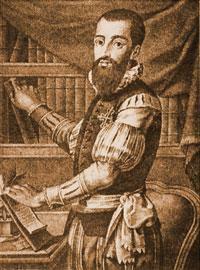 Garcilaso de la Vega died in Nice on October 14, 1536, a relatively young man in his mid-thirties.